Stunning, recently renovated FIRST FLOOR 2/2 bath on a private lot in Huntington Lakes. 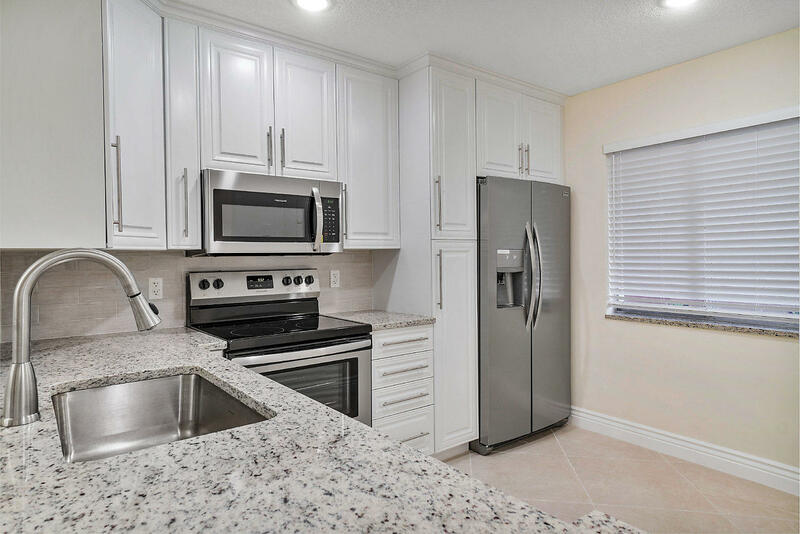 This unit has new floors, updated kitchen with new countertops and stainless steel appliances, updated bathrooms, renovated patio, updated custom closets, new light fixtures, freshly painted, and so much more! This unit is move in ready and has it all!The community is like living in a resort with a multi million dollar clubhouse, multiple pools, tennis, theater, fitness center, countless clubs, manned gate, and more!Dont miss out, this condo will not last.